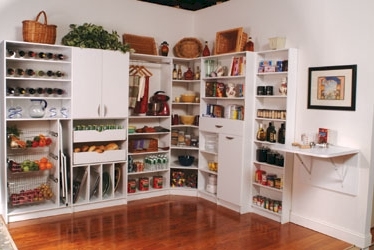 Looking to update and organize your pantry? "A place for everything and everything in its place". 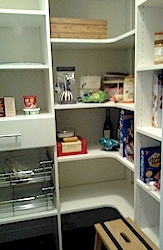 That's what you get with our professionally designed pantries. The variety of food, snacks, paper goods and other kitchen accessories are immediately at hand. 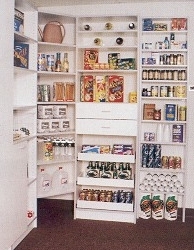 And with adjustable shelves it's easy to accommodate small cans as well as tall boxes. 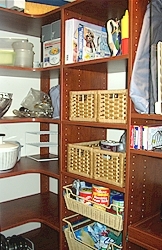 Pull out baskets are a nice touch and will accommodate bags of snacks or pastas efficiently. 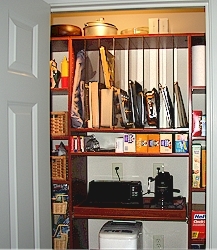 Tray-holders, wine racks, and work space cabinets are a big help also. 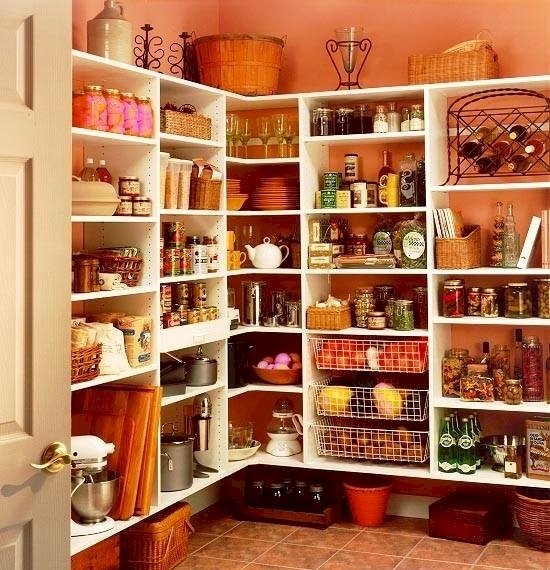 Let our design consultants work with you to build the pantry of your dreams. 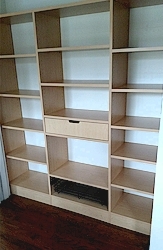 Our pantry organizers offer many flexible options and excellent quality.